Ever given letter-writing a try? 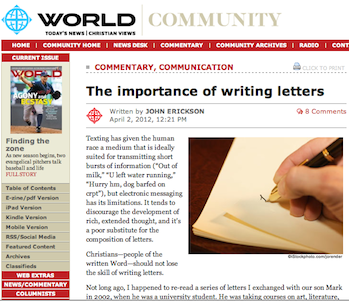 You might want to once you read the latest article by John R. Erickson, published in World Magazine: "The Importance of Writing Letters"
We hope you enjoy! And, as always, be sure to let us know what you think! We love to read your comments.